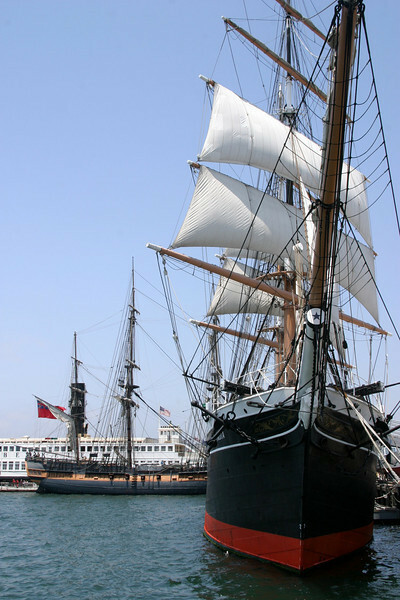 Star of India, is a must see stop in San Diego. 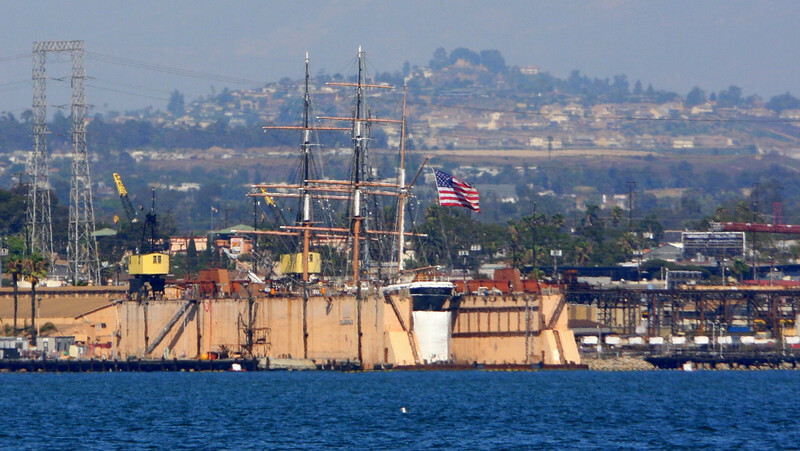 She is the world's oldest active ship, she is docked for visiting on Harbor drive in San Diego as part of the Maritime Museum. 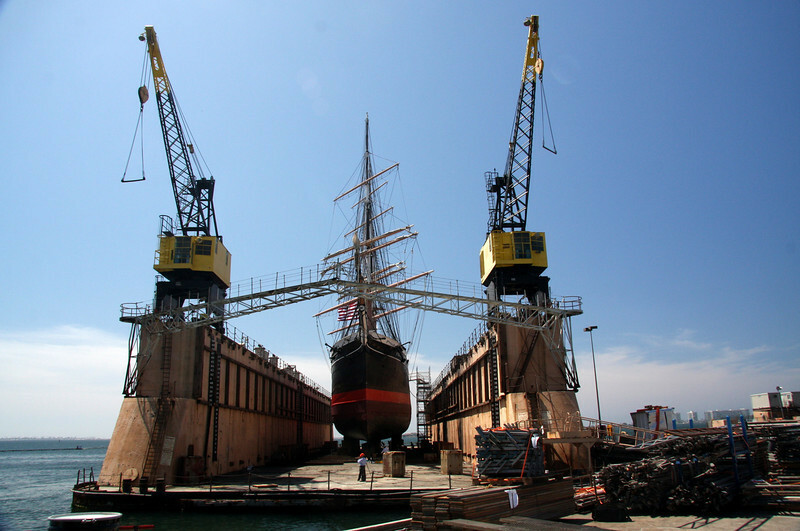 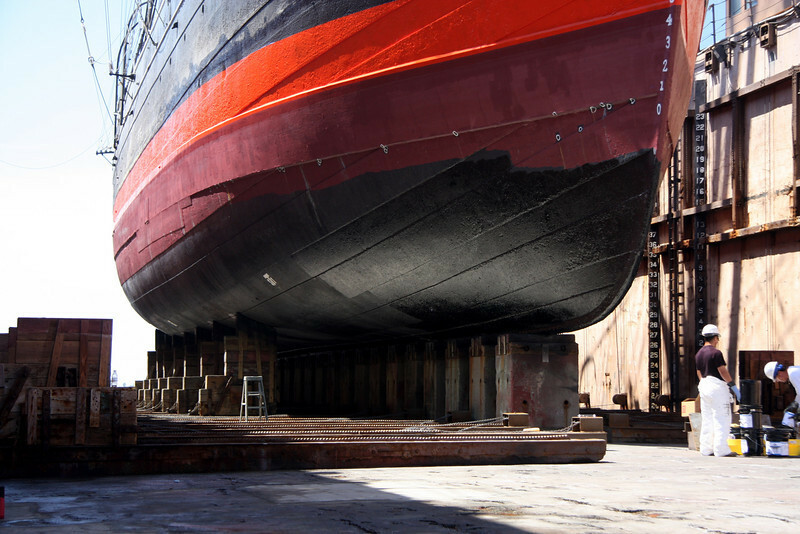 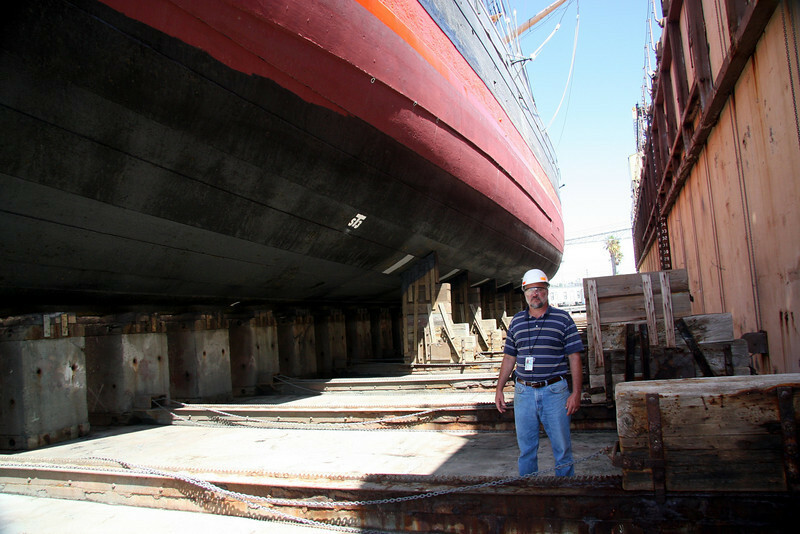 In Aug and early Sept 2009 she was in drydock for inspection and refinishing of her hull, she looks even better now. 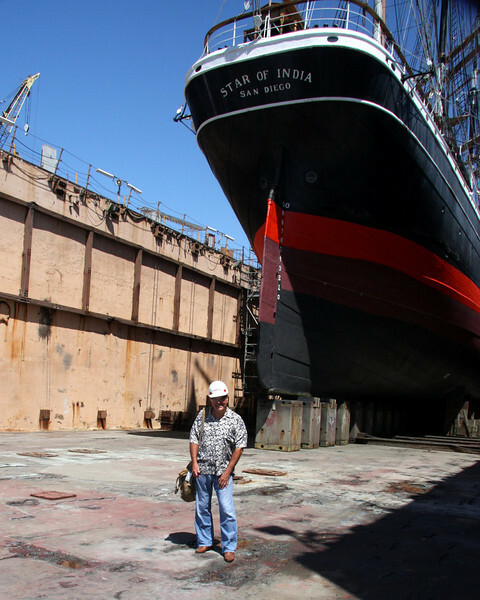 Star of India at BAE Systems Drydock and yours truly. 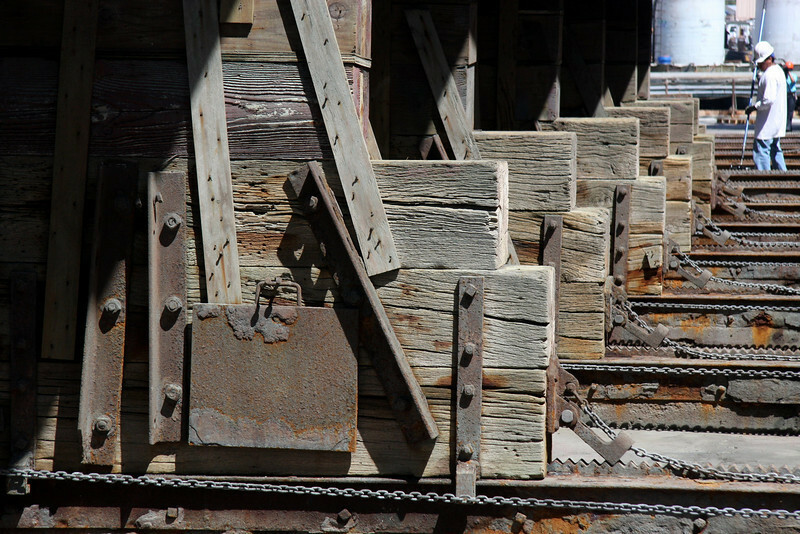 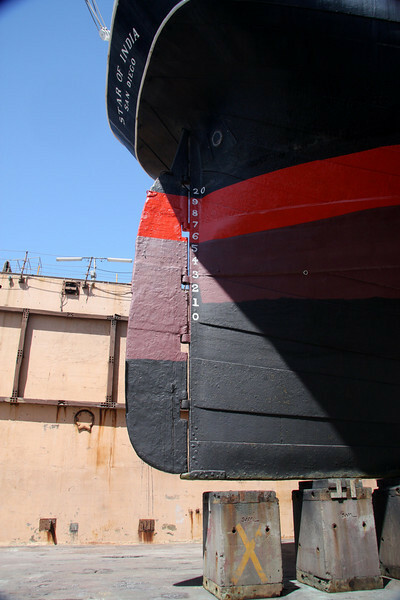 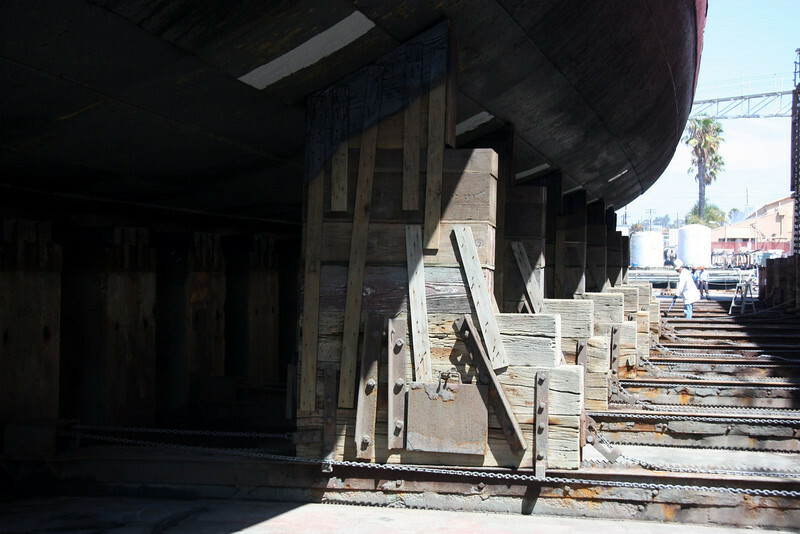 Star of India at BAE Systems Drydock, rudder detail. 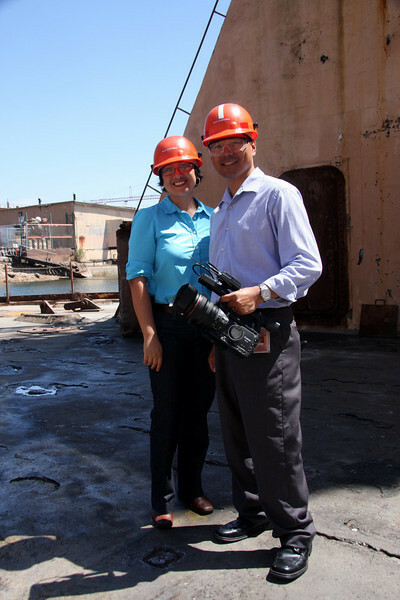 BAE System's thanks to Dennis and Pat. 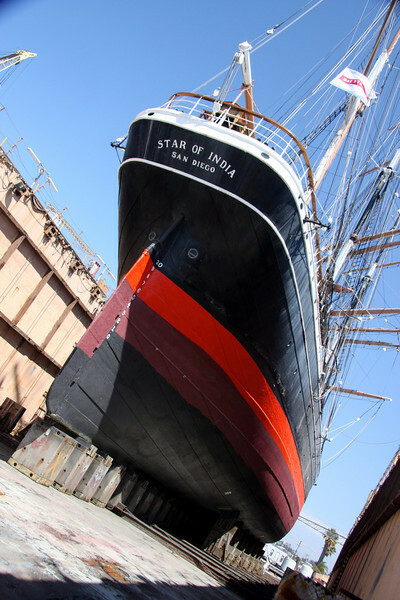 Star of India at BAE Systems Drydock, all fresh looking. 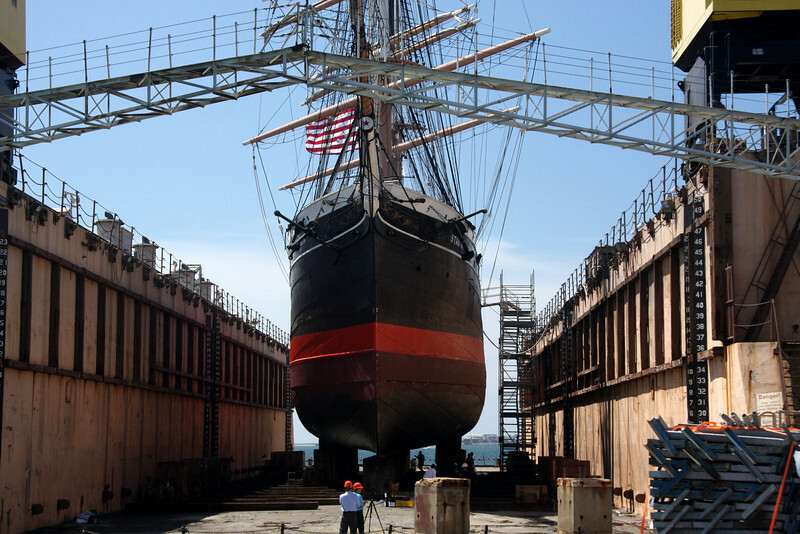 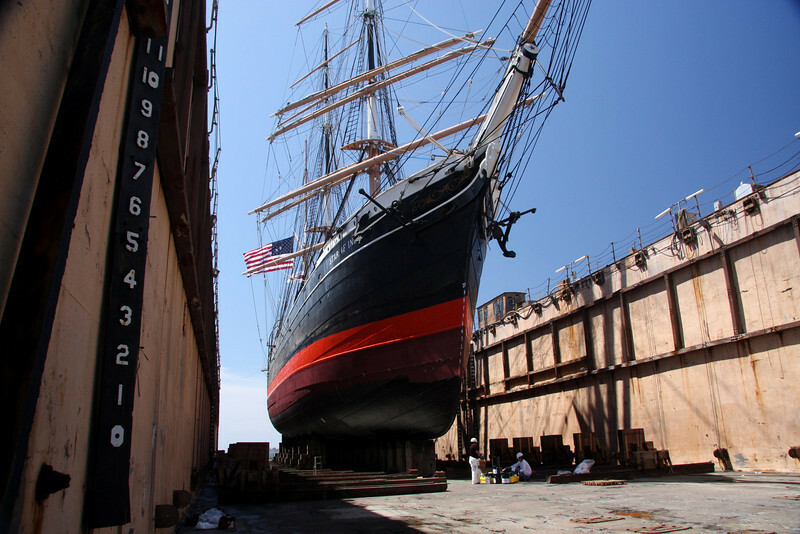 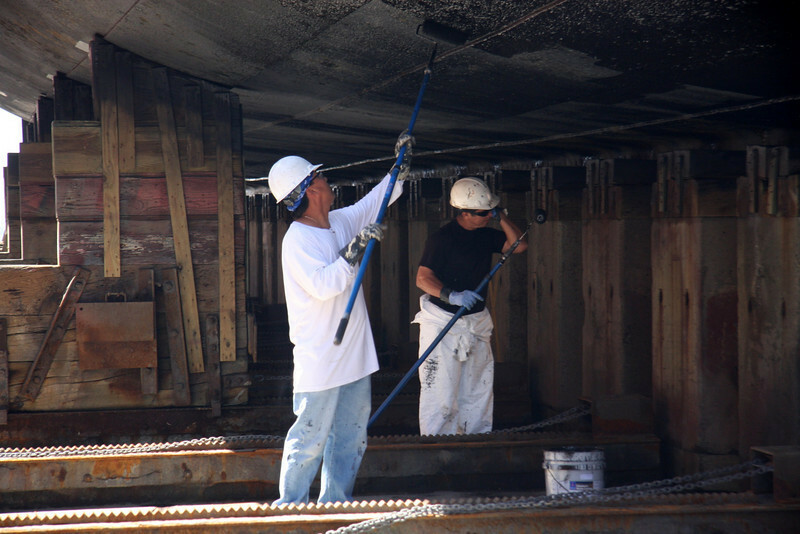 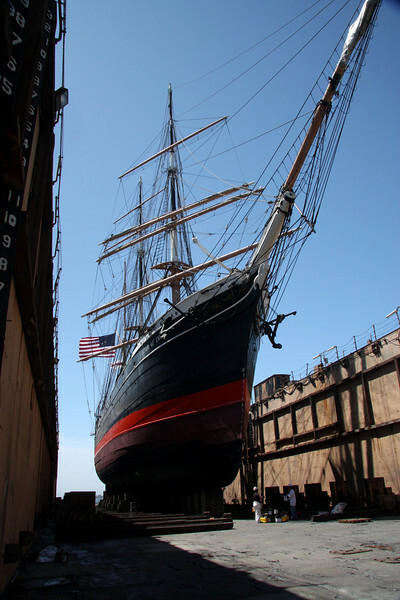 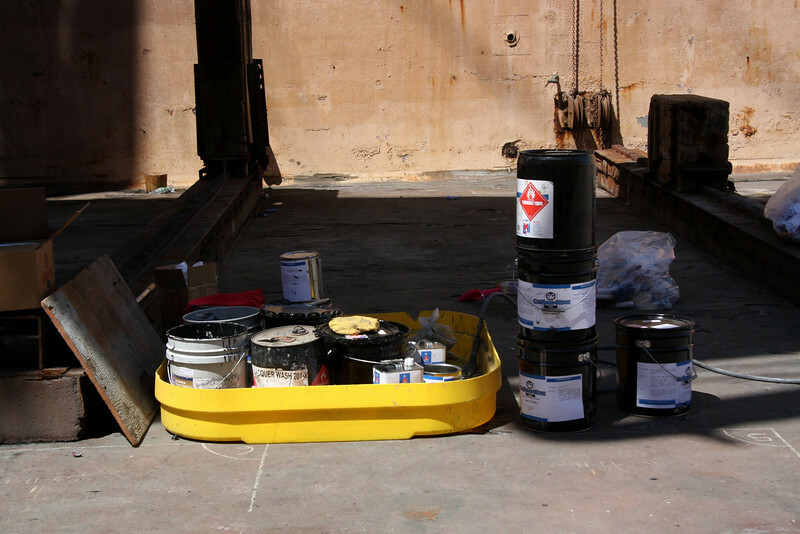 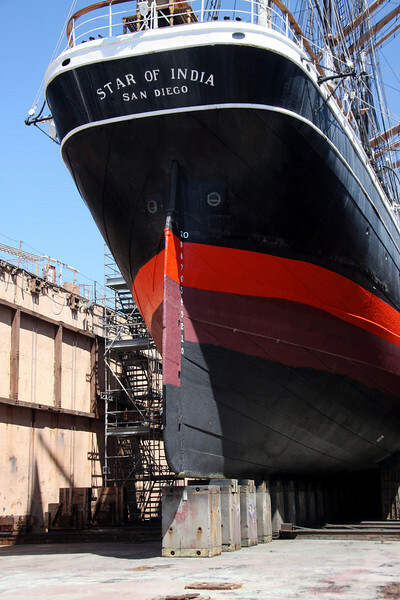 Star of India at BAE Systems Drydock, some of the materials used to refinish her hull. 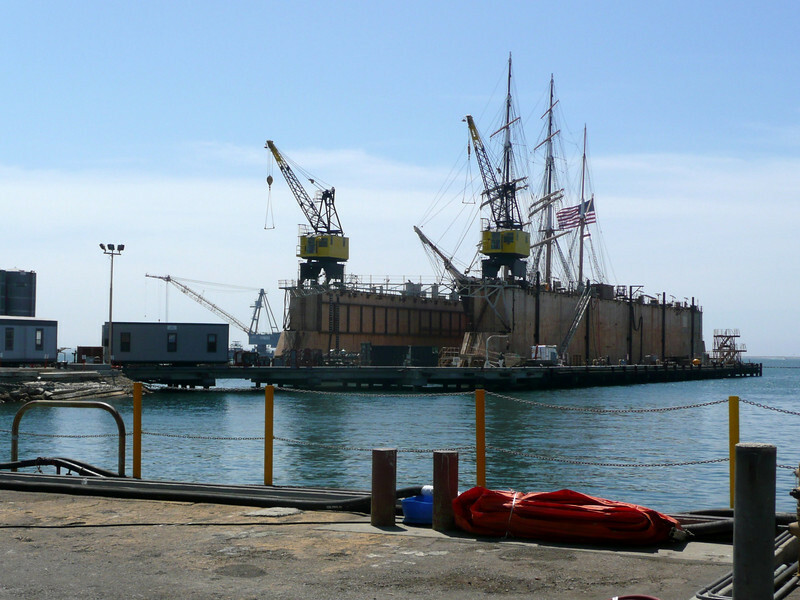 Star of India at BAE Systems Drydock, still working on her the day before she goes back into to water; Friday 9/11/2009. 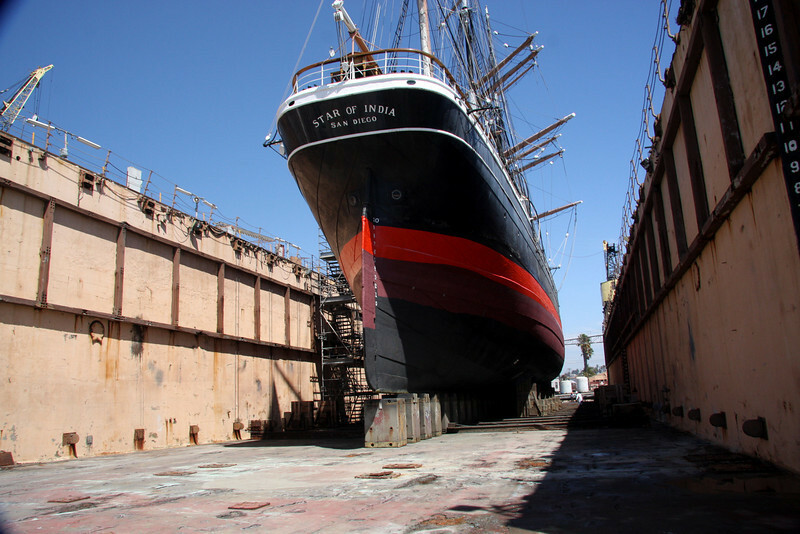 Star of India at BAE Systems Drydock, looking fresh. 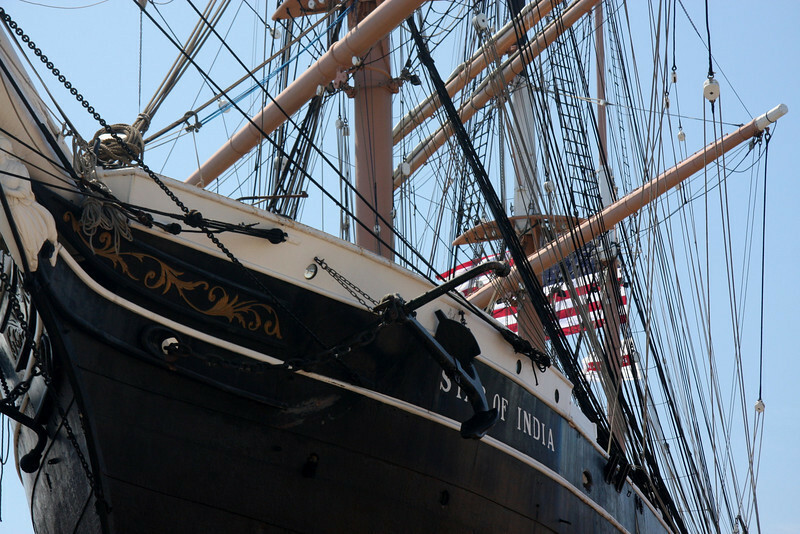 Star of India, is the world's oldest active ship, launched in 1863 from the Isle of Man, just a few days before President Lincoln's famous Gettysburg, US Cival War speach. 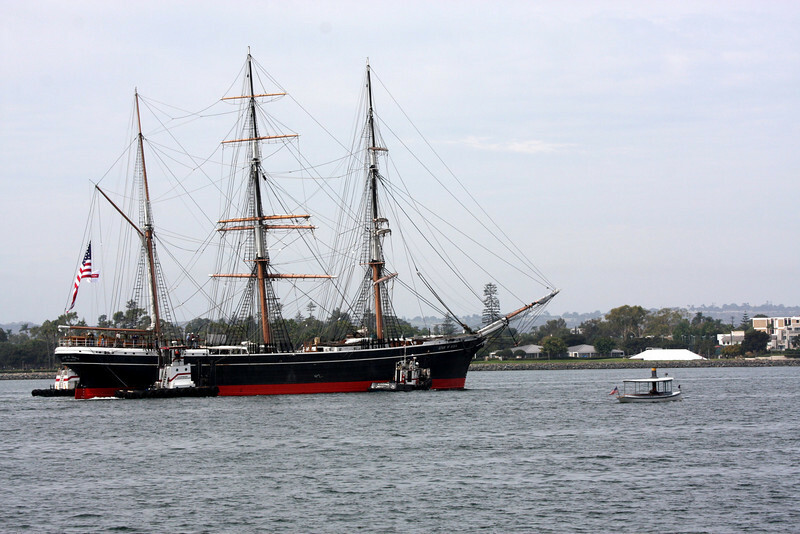 Her original name was Euterpe (Greek goddess of music), and spent the first 25yrs transporting immigrants from London to California, Chile and New Zealand and circumnavigating the globe 25 times! 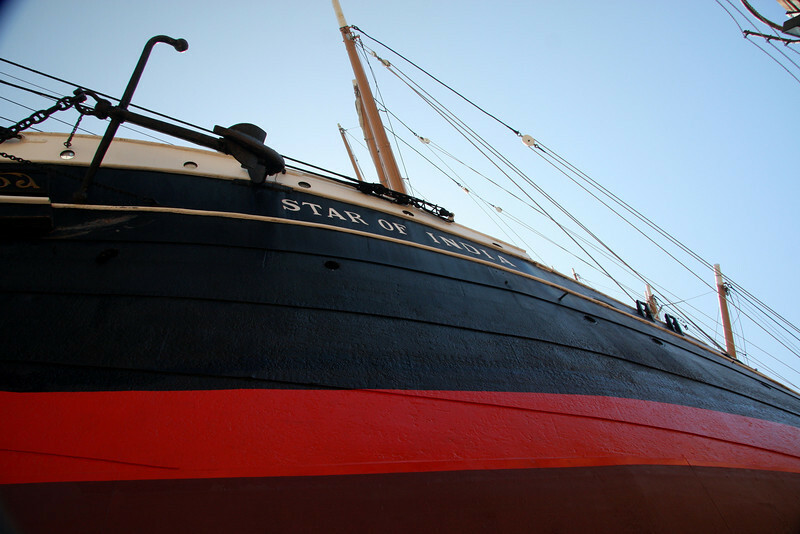 Later sold to US owners her name was changed in 1906 to the Star of India and she sailed the Bering sea in search of salmon. 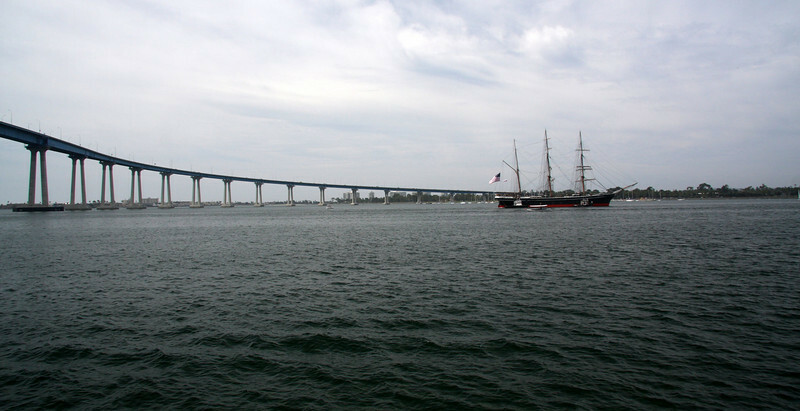 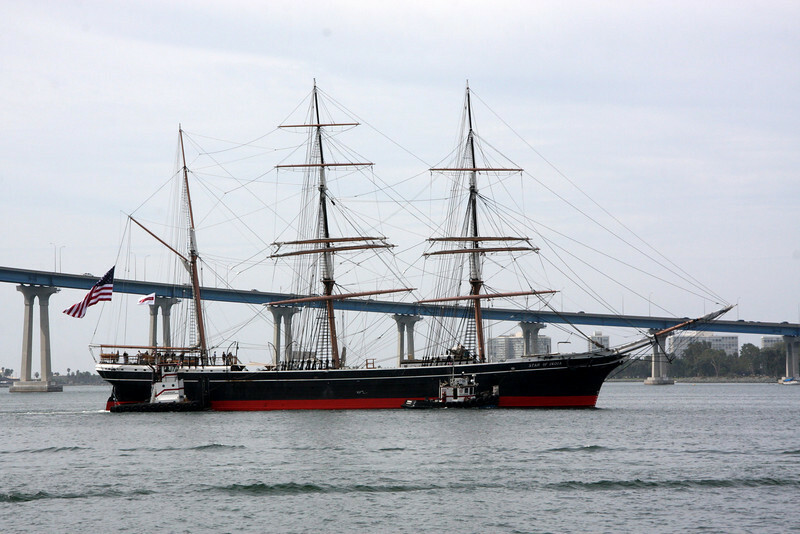 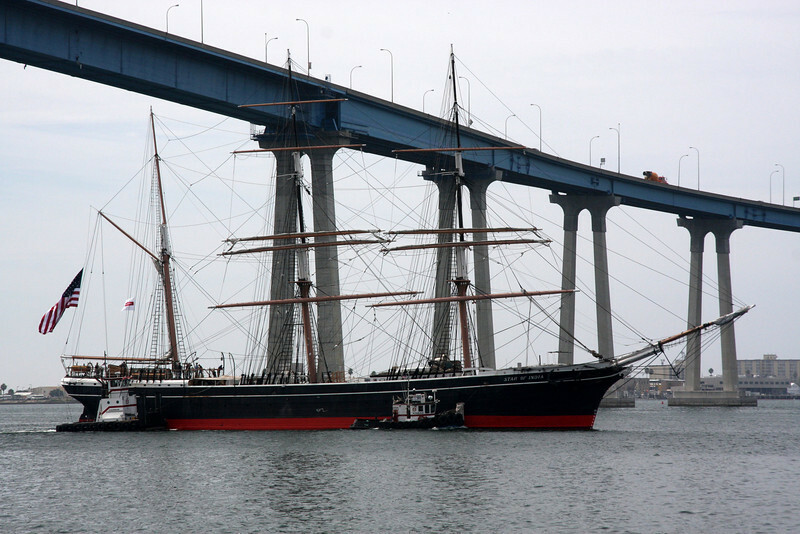 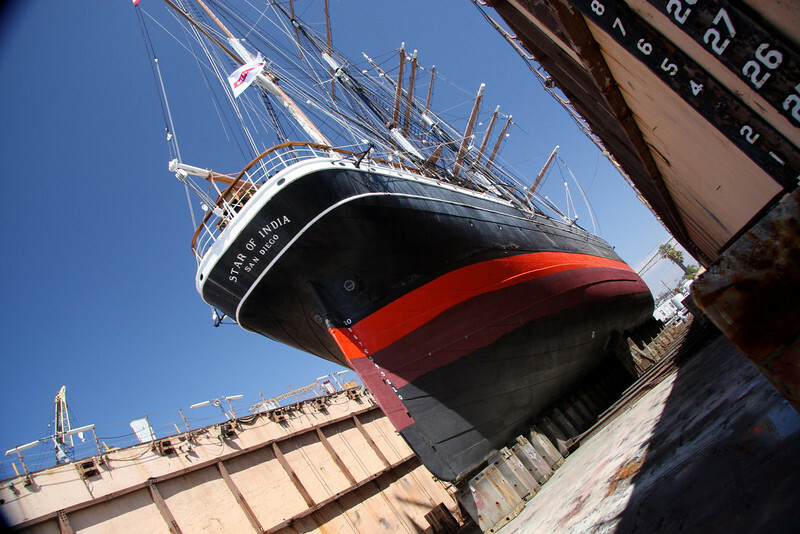 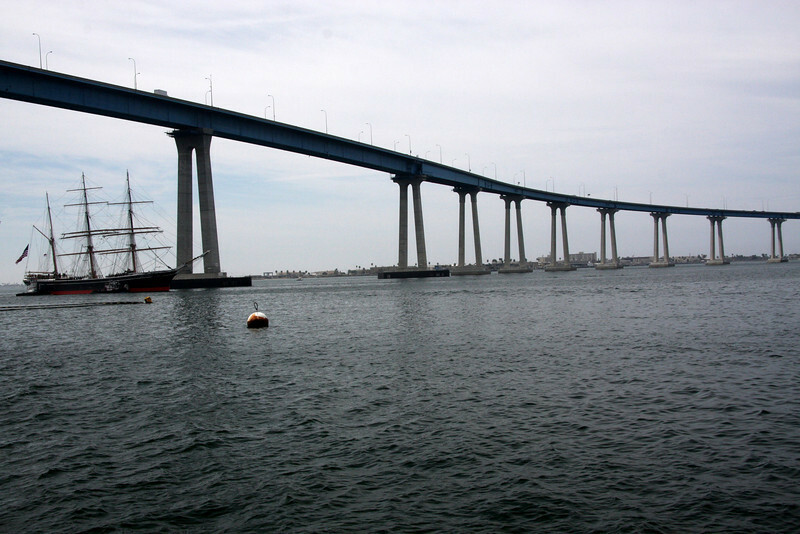 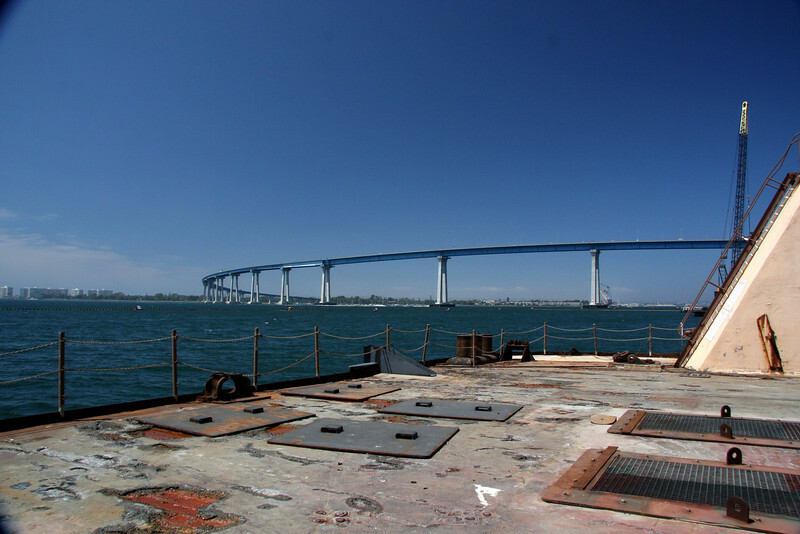 Eventually retired to San Diego in 1923, she lay dormant for 3 decades until Capt. 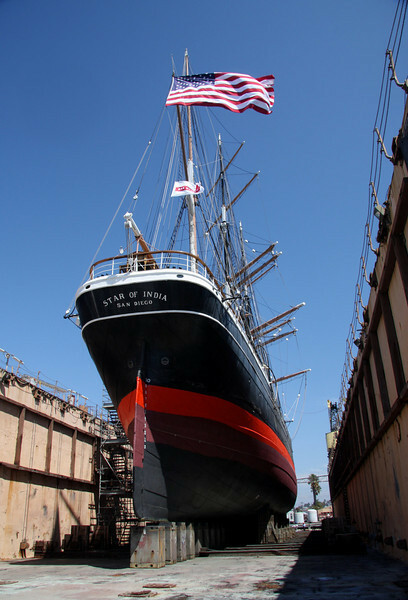 Alan Villers worked to have her restored and for the first time in 50 years she again salied on July 4th 1976.